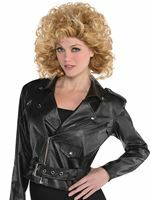 Relive those Summer Nights in our Adult Grease Good Sandy Costume. 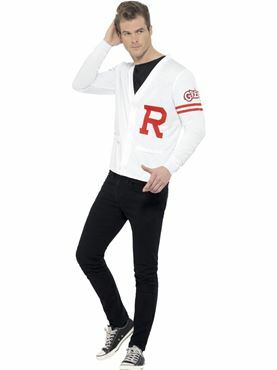 Adapted from the Famous Summer Nights Scene, our Sandy Costume comes complete with the White Fitted Shirt detailing the 'Grease' Logo on the Chest along with the attached Mock Yellow Button Cardigan and Matching Yellow Satin Effect Knee Length Skirt. Completing the Good Sandy Outfit is the White and Silver Buckle Belt and Yellow Ribbon Headband. Medium 12 - 14 34" - 36" 30" - 32" 24"
Large 16 - 18 38" - 40" 34" - 36" 26"